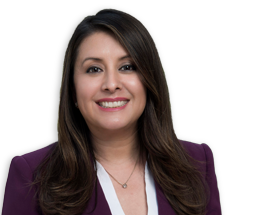 California Attorney General Xavier Becerra and Assemblymember Luz Rivas (D-Arleta) have announced that their sponsored bill, Assembly Bill 1313, passed the Committee on Higher Education. The bill prohibits postsecondary schools from withholding transcripts from students who owe the schools a debt. The bill, which ensures that students are not handcuffed in pursuing educational and career opportunities by the practices of certain schools and colleges, will now be heard by the Assembly Appropriations Committee. Gov. Gavin Newsom’s comments this week on California’s high-speed rail project have led to some confusion in Los Angeles, where several routes for the southern portion have been proposed in communities like Sylmar, Sun Valley, Lake View Terrace and Sunland-Tujunga. During his state of the state speech on Tuesday, Newsom put an emphasis on completing the Central Valley portion between Merced and Bakersfield, while casting doubt on the project reaching any further north or south.